When learning about market models, perfect or otherwise, one critical assumption is that of free entry (and implied is free exit or free disposal) of new firms into a market. In fact, it is one assumption that drives the outcome of all the economic market models (including variations such as monopolistic competition), yet its exceptionally strong implications are usually glossed over. So what does free entry really mean, and why does it matter? The typical explanation of free entry is that in the situation where there exists a potential economic profit in a market, new firms can freely enter the market, increasing market output and reducing profits for existing firms back to zero. Any costs they incur in the process can be recovered perfectly if things go wrong. That means if a new firms buys a building or vehicle, employ some people and produce goods, but then find can’t make a profit, they can recover all their costs and try starting another business without losing a single dollar in the process. That such as assumption obviously conflicts with behaviour in the real world is usually ignored with reference to Friedman’s ‘assumptions don’t matter’ quip. Even if, of course, the model still fails in any predictive capacity. But taken to its logical conclusion, this simple assumption means that in any market economy with free entry all firms will be worth zero, since their profits are zero . 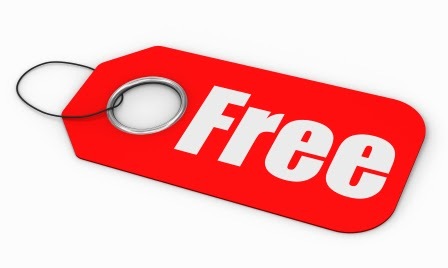 Moreover, if all markets have free entry, then all prices will be zero. The Twitter-verse didn’t quite understand what I meant when I said all prices will be zero, so I want to explain why this is the only logical conclusion in an economy where all markets have free entry. First, we need to understand that the costs of production in any market for any firm are the prices set in an upstream market. That upstream market also has input costs set in an further upstream market and so on up the chain of production (and backwards through time). This is the essence of Saffra’s idea of the production of commodities by means of commodities. The furthest upstream market is land - without a location to reside and the input of raw resources from land, no economic activity can take place. Here’s the crux of my argument. If the land market had free entry, any time the value of any piece of land became a positive non-zero amount an alternative new piece of land be instantly available to increase the stock of land and decrease all land prices back to zero . The immediate downstream market, say for timber or some other naturally endowed product, would have a zero input cost for land and other resource inputs to growing their trees (rain, sunlight etc). The price of timber now reflects the cost of growing it, which is zero. The sawmill would have free land and free timber, and then cut free boards, and eventually the economy would produce free homes. I’ve overlooked labour inputs, but in this free entry equilibrium all prices would be zero, which means even a zero labour wage rate would be infinitely valuable (you could buy every conceivable item with it). Economic theory side-steps this issue by invoking a ‘normal’ rate of profit. Everyone goes and gets a normal rate, thanks very much. Any argument about the source of this magic normal rate is usually circular, and if price are zero it doesn’t matter what this rate is anyway! As you might have noticed the world is finite, therefore not every market can be subject to free entry simultaneously, especially if they are already at the equilibrium point of using all the world’s resources! The real world has no feature that correspond to the model. When we look at the short-list of conditions that invalidate free entry, we wonder where on Earth the whole idea came from in the first place. Even monopolistic competition invokes free entry in ‘the long run’ to push profits down to ‘normal’. Clearly this assumption can’t stand up and needs to be dropped if economic models of market are going to be of any use as representations of reality, and importantly, as tools to guide public policy. One area of economics that addresses these points explicitly is real options theory. In this theory there is no free entry and exit - when a firm enters a market it can’t simply turn around and leave and recover all of its costs exactly. Moreover, firms may find it advantageous to delay entry into markets - something not possible in the orthodox models solved in a time singularity. fn . Actually since there is another nasty assumption, that all costs embed a ‘normal’ rate of profit, a firm’s value will be proportional to its revenue. fn . In reality of course, all land is a mini-monopoly on its location and this is an impossible scenario. Under perfect competition (ie with free entry) price is equal to marginal cost right? Yep. What's the marginal cost of the first input, land? Zero right? If price equals marginal cost, all land should be zero. Essentially free entry implies no scarcity. Isn't Labour the first input? The real net profit is zero but not the nominal. The nominal profit is equal to the opportunity cost of whatever utility is gained by non-enterance. This is a significant factor, especially with labor! Who would cut logs for free when they could nap under a tree. Not sure what you mean by real v nominal here. Economic models always deal in real terms (or in terms of the price of the numeraire). As far as the idea of opportunity cost, I agree. But the model says that as soon as wages are not zero, people will stop lazing under the tree and cut logs until the wage returns to zero. There must be some other coordination mechanism at play which establishes prices, because it certainly is not a general equilibrium in the economics sense that does it. No people will stop work until the wage is above the reservation wage. If people gain utility from napping, then there will be a non-zero floor on wages. I'm not so sure about this one - even if there's free entry and free raw materials then you still need labour. So you might get some people producing more and therefore trade and effective prices. With free entry to the labour market any non-zero positive wage is actually an infinite wage in real terms (since all materials are free). Let me write it out all the conditions more clearly another time. I am looking for efficient Equity Tips and I found Epic Research's blog, which daily updated with current market news.